Click Here to see photos of Ms. US Continental in New York City! Ms. & Teen US Continental Winners! 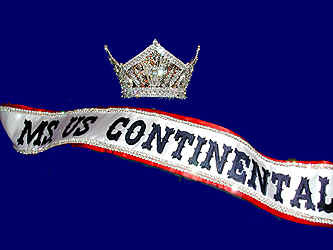 Click Here To See Highlights from the 2003 Ms. & Teen US Continental Pageant! 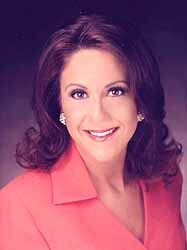 Cammie Sanders, as Ms. Florida US Continental, competed for and won the title of Ms. US Continental 2002 on August 31st, 2002! She is proud to represent the women of our continental United States, and is excited about making appearances throughout the country, not only as Ms. US Continental, but also as the spokesperson and founder of the "Stuffed Animals For Emergencies" Project, a/k/a Project S.A.F.E. The Ms. US Continental Pageant is a pageant organization that recognizes the virtues of family, professional and community involvement among women who are married, single, divorce or widowed. In this national pageant, Cammie competed against other state contestants in interview, aerobic wear, and evening gown competitions. Cammie will serve the pageant with her title throughout the year until the national pageant takes place again on November 8th, 2003. She plans to travel to as many states as possible, promoting this fine pageant program, her platform, and other issues important to her. The Ms. & Teen US Continental Pageants are open to women from ages 12 to 60, so you could qualify for either the Mrs., Ms., Teen, or Jr. Teen division! Applications for the pageant are being accepted! Click On the Crown to see the Appearances & Activities Of Ms. US Continental! Click On The Crown To See Scenes From the National Pageant! Click Here to find out how to get an awesome monogrammed jacket like this one from Monograms & More! Click Here to find out how to get a fabulous magnetic sign like this one from Sign Smart!